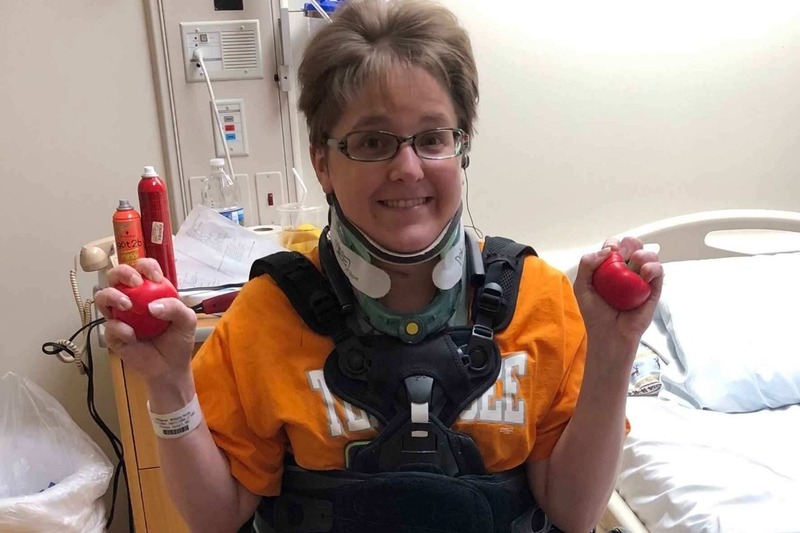 Let’s support Brittany and praise the Lord for her progress! Tragedy struck the North Georgia Mountains on Wednesday, December 19th, 2018, when a single-engine private plane crashed near the Blairsville Municipal Airport, killing three out of the four passengers. Brittany Thomas Whitener was the sole survivor of the crash and was flown to a nearby hospital in critical condition. 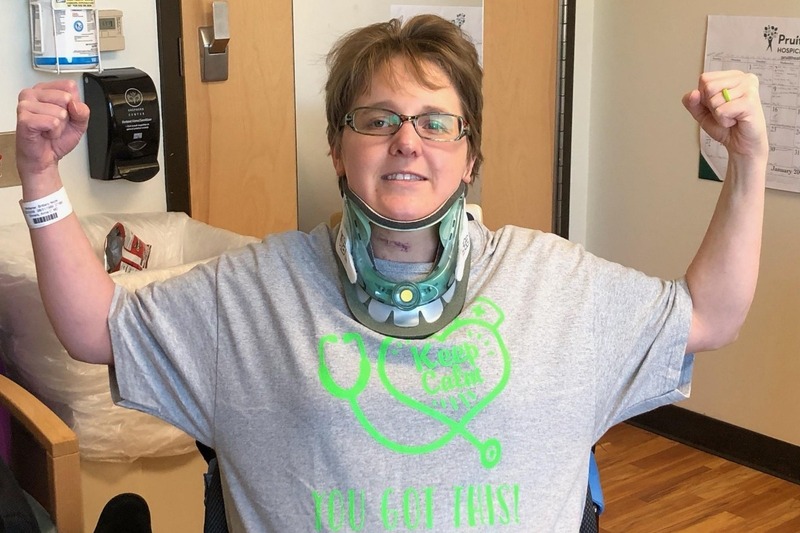 She suffered from a broken neck and broken back. Brittany is currently undergoing rehabilitation at the Shepherd Center in Atlanta. As of January 3rd, she has some feeling in her ankles, but she still has a long way to go. 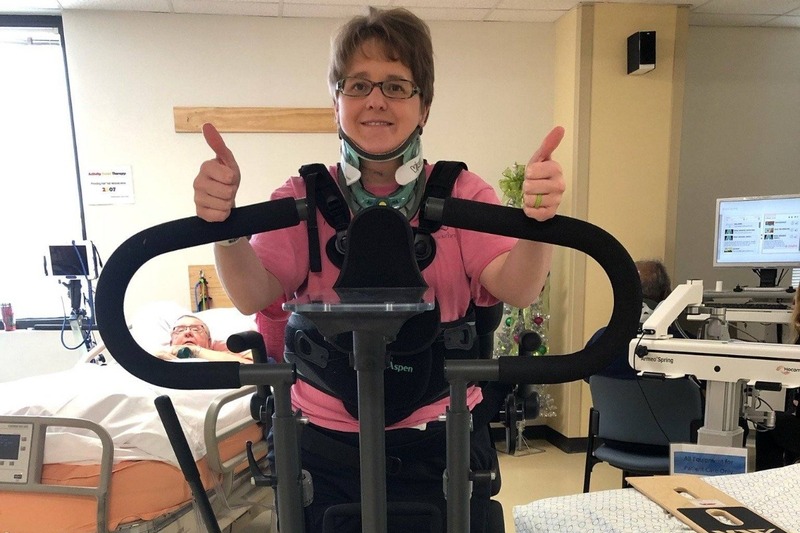 Despite the long road to recovery and immense pain that she is currently facing, Brittany miraculously maintains her usual positive attitude and upbeat personality! 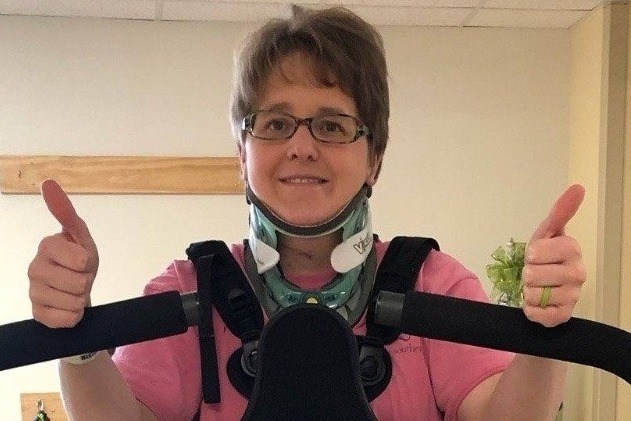 She is a survivor and a hero, especially to her friends, family, and co-workers at Riverstone. All funds collected will go directly to Brittany's husband Junior Whitener to cover her medical and living expenses during her recovery. Any amount helps! Please keep Brittany in your thoughts and prayers. Thank you so much for any help you can give, even if it's just sharing this on your social media accounts! - Call or Visit Blue Ridge Pharmacy and buy a t-shirt to support Brittany. - Attend the Benefit Dinner & Auction on Sat. February 16, 2019 3:00PM at Union County Civic Center hosted by Blue Ridge Motorsports Park . - Shop at Sweet N Sassy Creations on Etsy during January and February (2019) and 20% of all orders will be donated to Brittany and Junior. Check back for updates and please send to as many as you can. Please keep in your prayers the families and loved ones of the three local medical providers who passed in the plane crash. The victims were nurses and a pharmacist who were well-known in the tri-state community. Please send prayers for the families of those who passed: 56-year-old Robert Atkinson, 55-year-old Renea Greiner, and 50-year-old Michelle Seay.